Ciao a tutti, qui Erika per condividere con voi un progetto realizzato con il timbro Avery with donut. Hi friends, it’s Erika here to share a project using Avery with donut. Ho colorato questo bellissimo design utilizzando i miei pennarelli Tombow dual brush! I colored this amazing DIGI using my Tombow dual brush markers. Per il progetto Florileges Design di oggi ho voluto creare una card utilizzando per lo sfondo i miei amati pennarelli Floricolor e il timbro a cuore “coeur en rondins”. Nel video tutorial che ho realizzato vi mostrerò come creare i vostri sfondi fai-da-te per una card semplice ma d’effetto. Oggi vi mostro una frame card realizzata per il DT di Paper Nest Dolls DT usando la meravigliosa Fairy Princess Emma. 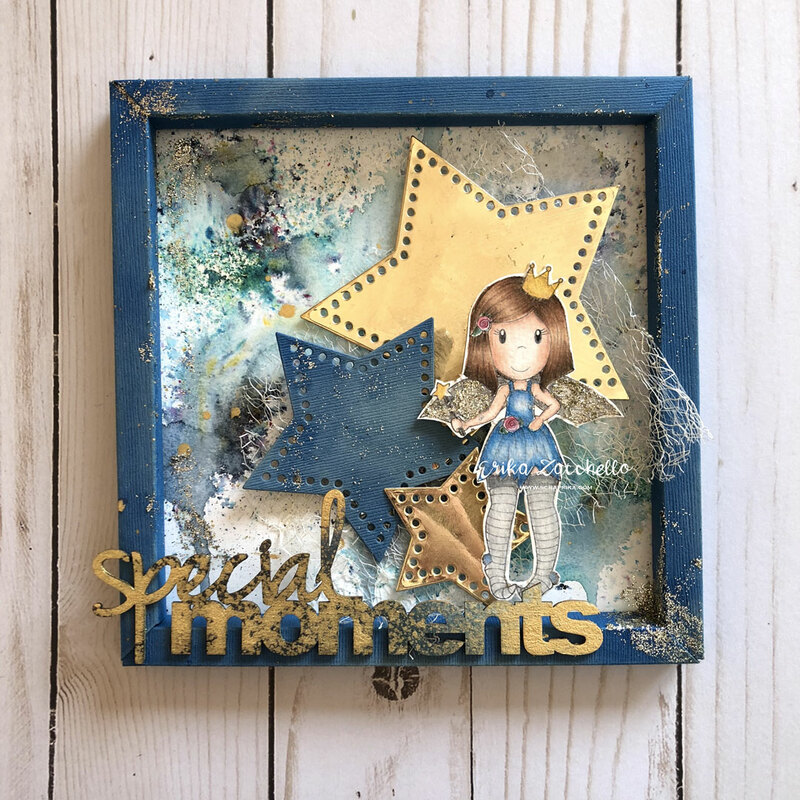 Today I show you a frame card made for the Paper Nest Dolls DT using the amazing Fairy Princess Emma. 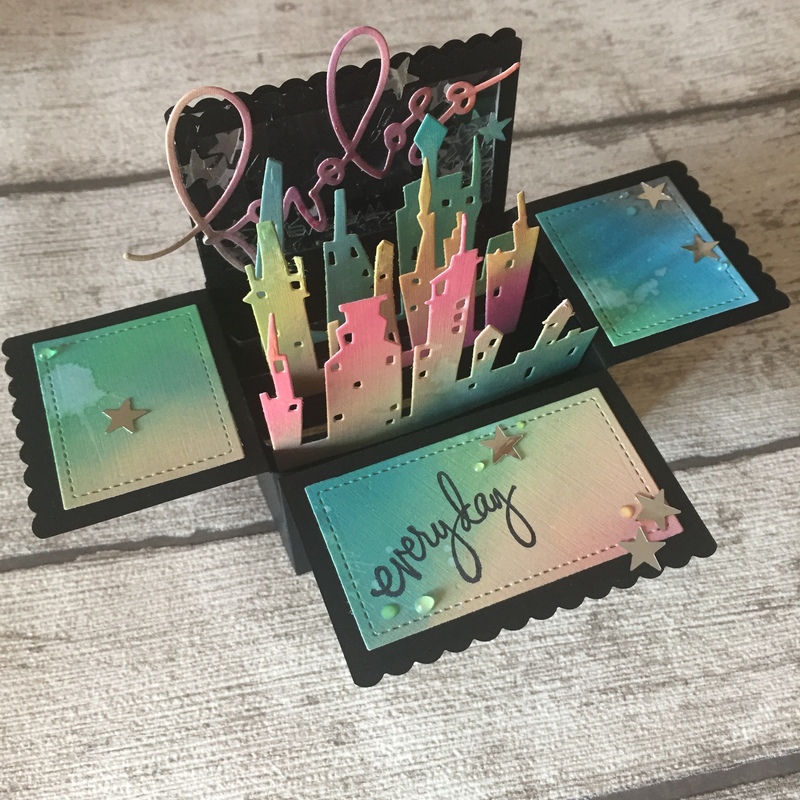 Per questa card ho utilizzato le matite Prismacolor e i Brilli Gel Tommy Art! For this coloring I used for the Prismacolor pencils and Brilli Gel from Tommy Art! 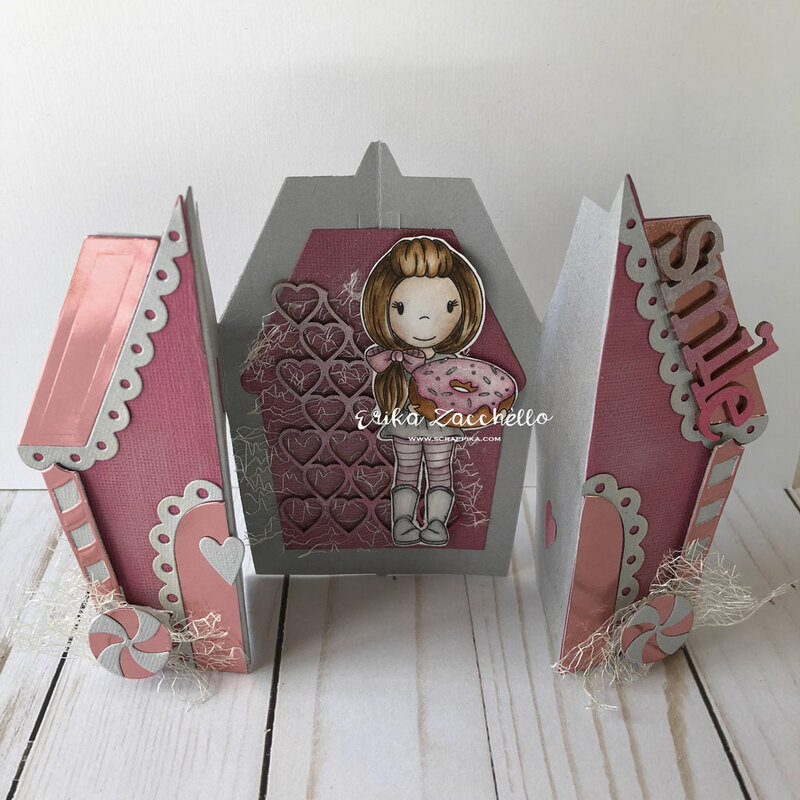 Nel video process qui sotto vi mostro come colorare i nuovi timbri et Love Grow stamp della collezione Cre8tions Designs sulla pagina di un libro. 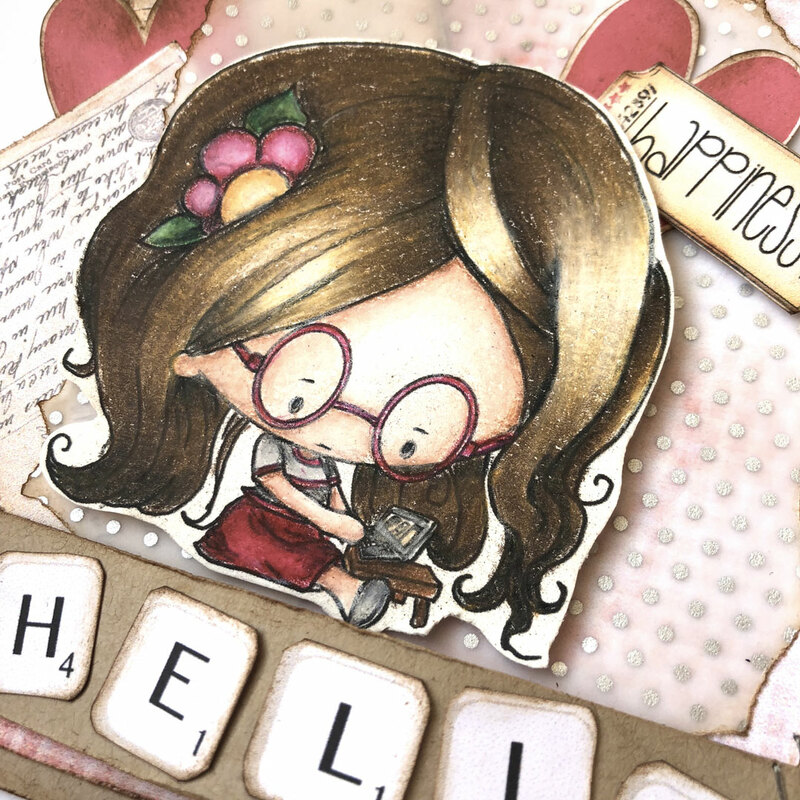 In the video process below I show you how to color the new Let Love Grow stamp by Cre8tions Designs on a book page. Useremo le matite Prismacolor e alcune delle meravigliose novitò di LDRS. 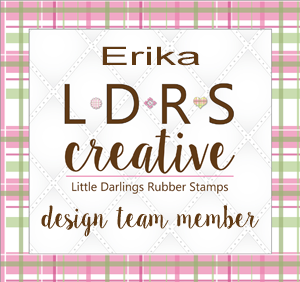 We will use Prismacolor pencils and some new amazing products from LDRS! – Prismacolor Pencils: 943 – 939 – 927 – 938 – 926 (skin/pelle); 935 – 946 – 941 – 1034 – 938 (hair/capelli); 908 – 911 – 1005 – 938 (leaves/foglie); 935 – 931 – 995 – 994 (vest and flowers/vestito e fiori). 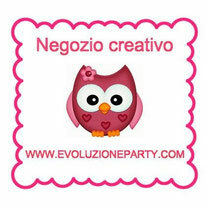 Clicca su play e buon divertimento! Click on play and have fun! Grazie per essere passato da qui! 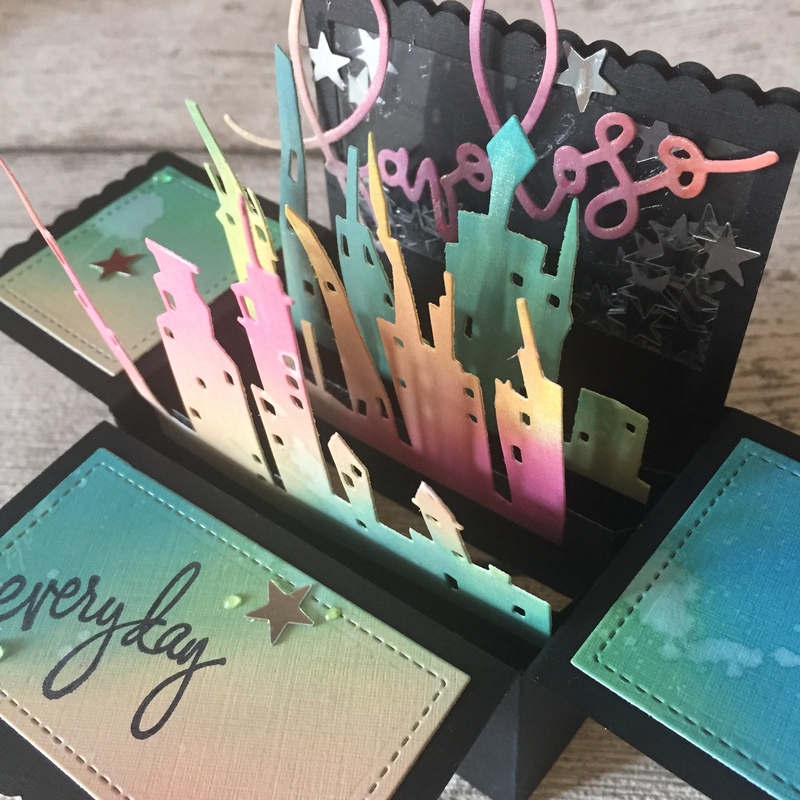 Da sempre i timbri Technique Tuesday sono tra i miei preferiti, li ho amati da quando ho iniziato ad appassionarmi allo scrapbooking e sono davvero onoratissima di essere oggi guest designer per loro con un meraviglioso Giveaway! 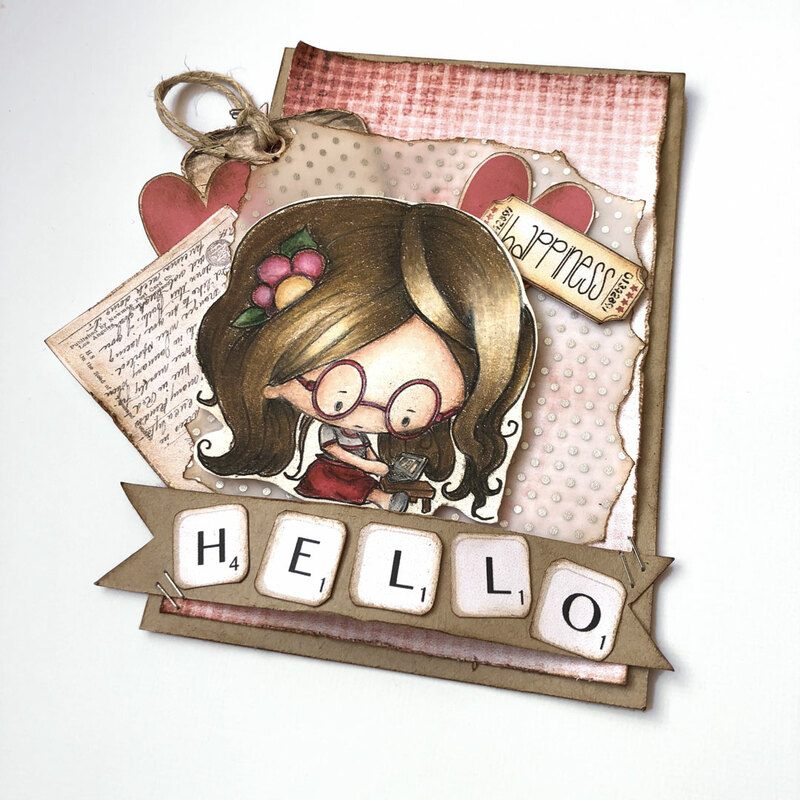 Technique Tuesday stamps have always been one of my favorites, I’ve loved them since I started to get involved in scrapbooking and I’m really honored to be a guest designer for them today with a wonderful Giveaway! 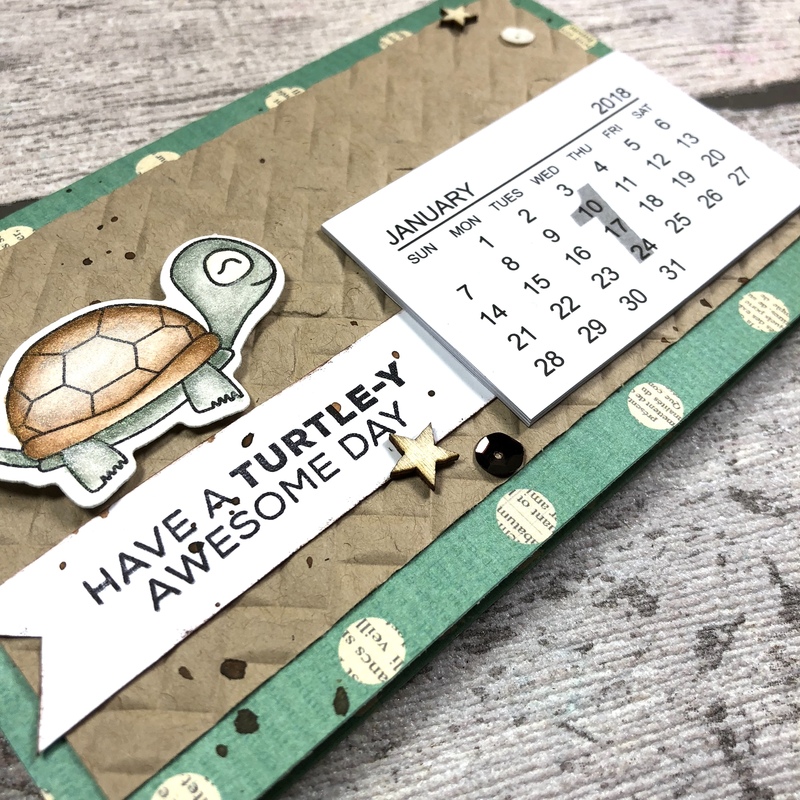 Per la mia card calendario ho utilizzato il timbro e la fustella “Turtle Trio” della Serie Animal House di Technique Tuesday. 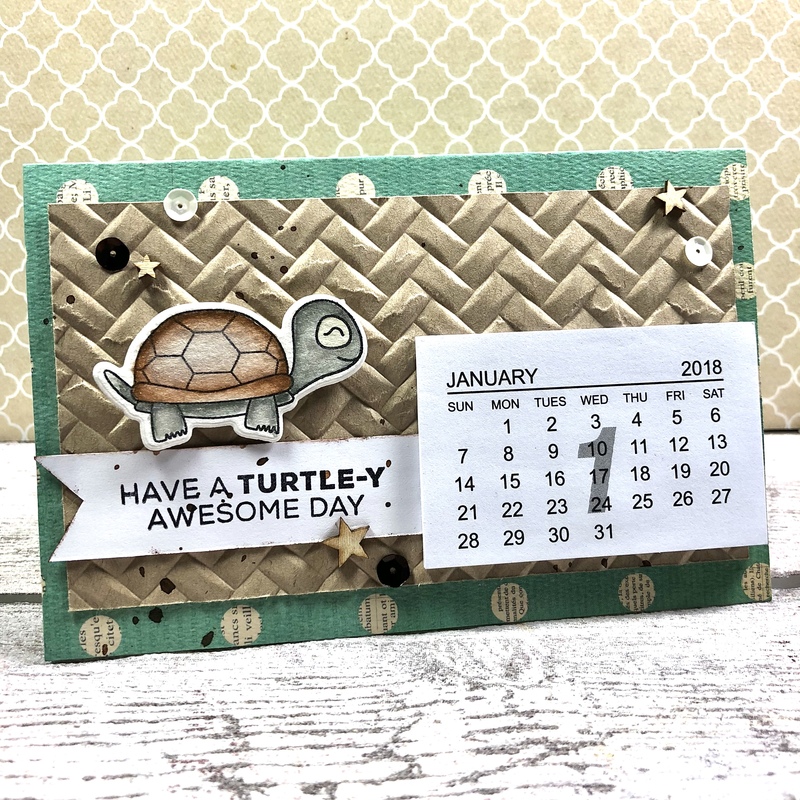 For my calendar card I used the “Turtle Trio” stamp and die from Technique Tuesday’s Animal House Series. Ho pensato di realizzare un calendario che potesse accompagnare la persona a cui la regalerò tutto l’anno… mi sembra una bella idea per dire a qualcuno che gli vuoi bene e ci tieni a stargli accanto! I thought of creating a calendar that could accompany the person to whom I will give it all year round … it seems like a good idea to tell someone that you love him and you want to be with him! Qui di seguito trovate alcuni dettagli. Per la colorazione ho usato gli acquerelli metallici di Prima Marketing. Below are some details. 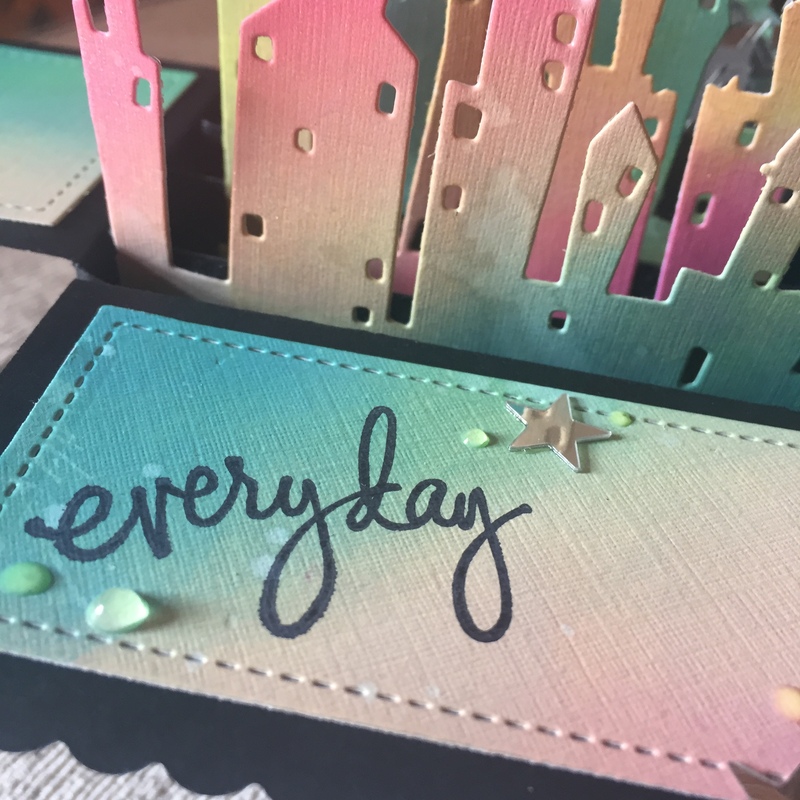 For the coloring I used the Prima Marketing metallic watercolors. La tartarughina e il sentiment fanno parte del set “Turtle Trio” . 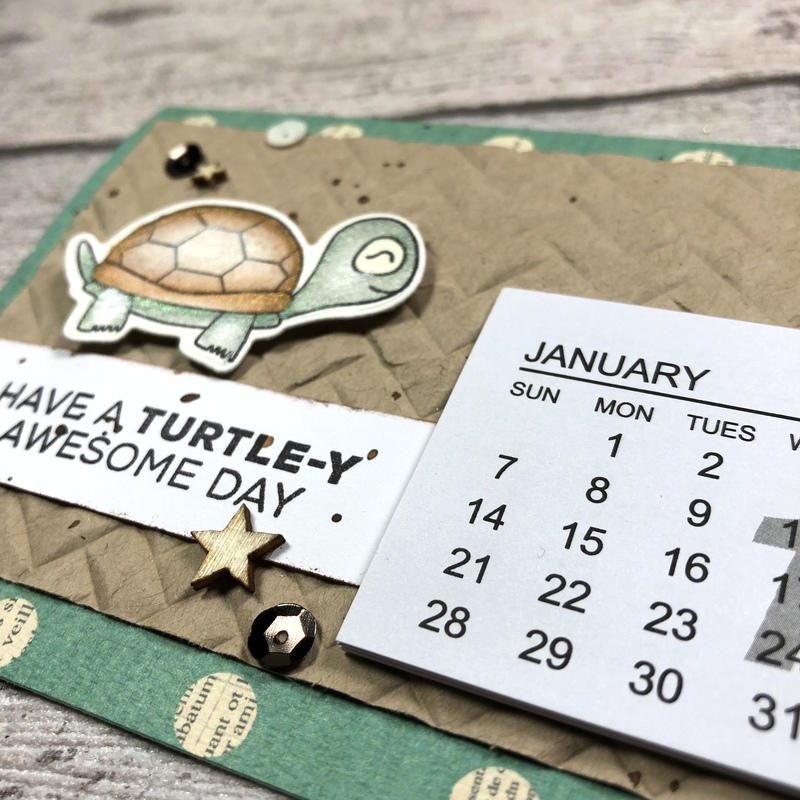 The turtle and the sentiment are from the “Turtle Trio” set. 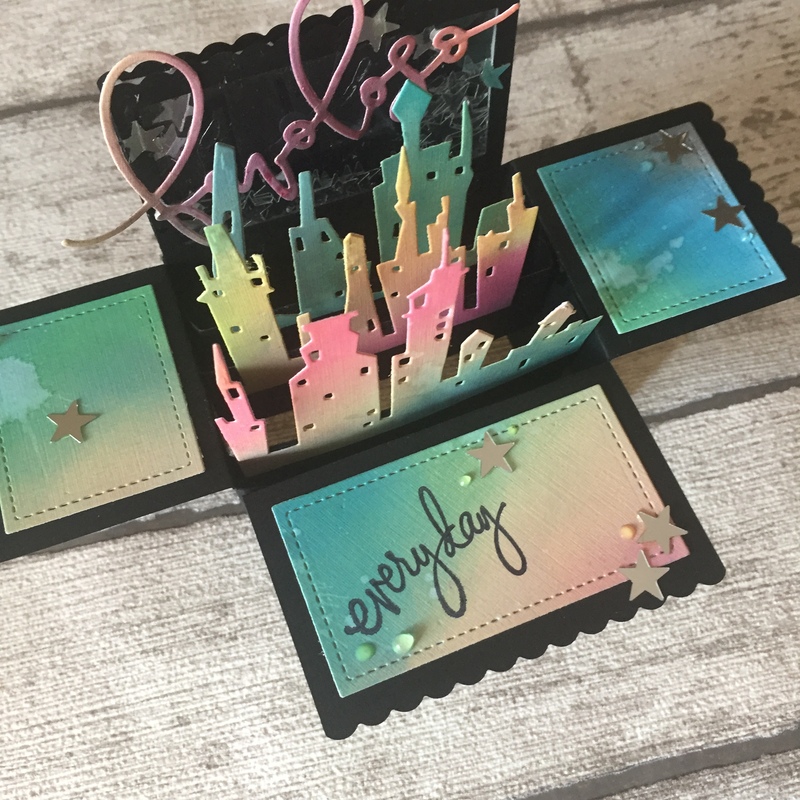 Ma ora veniamo al meraviglioso Giveaway!!! But now let’s talk about the wonderful Giveaway!!! Technique Tuesday regalerà ad un fortunato il Timbro e la fustella preferita della serie Animal House! 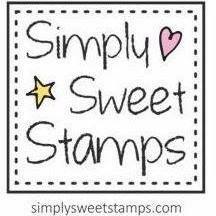 Technique Tuesday will give to one of my follower the Stamp and the favorite die of the Animal House series! Il giveaway chiude il 10 Febbraio. The entries will be closed on February 10th. 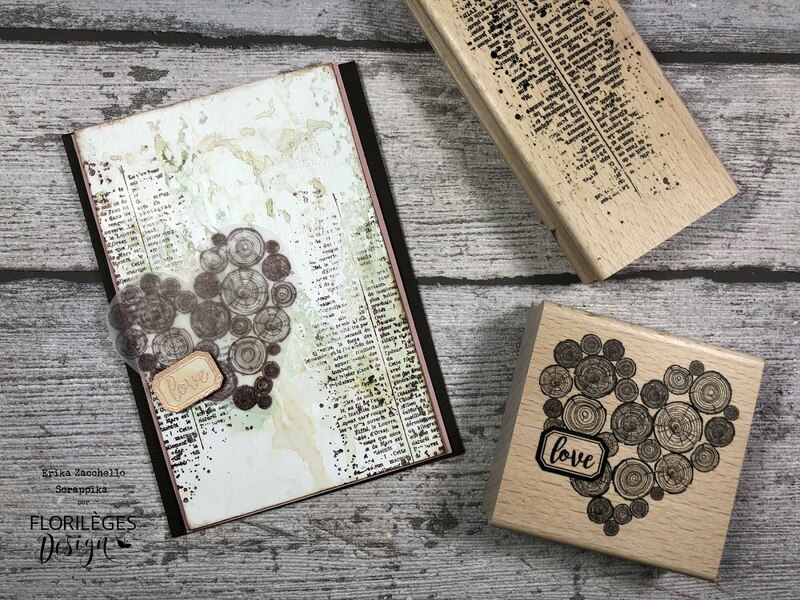 Choose your favorite stamp and matching die. Comment below with your choice at this post. Tra tutti coloro che avranno fatto tutti i passaggi, il giorno 11 febbraio, in occasione del mio compleanno, estrarrò un fortunato vincitore che potrà ricevere il Set Animal House preferito! Among all those who have done all the steps, on February 11th, on the occasion of my birthday, I will draw a lucky winner who will receive the favorite Animal House Set! 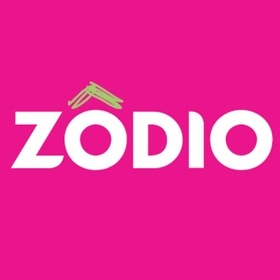 oggi vi mostro una nuova ispirazione per il DT di Digi Choosday, il blog di challenge dedicato ai prodotti Polkadoodles. 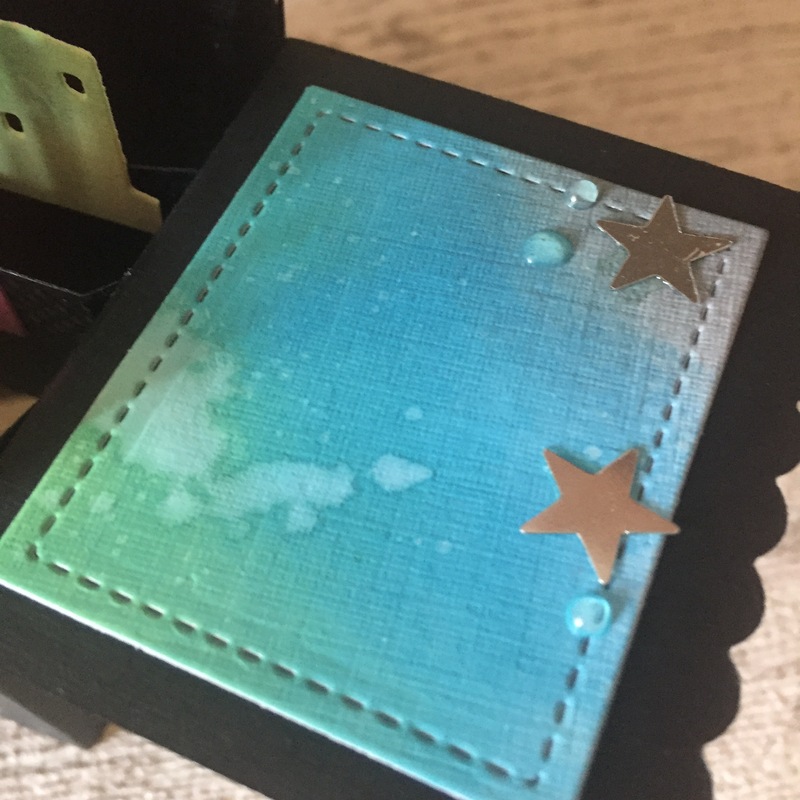 Nello store potrete trovare tanti rubber, timbri digitali e collezioni con carte, abbellimenti, file di taglio ecc..
Hello everyone, today I show you a new inspiration for the DT Choosday DT, the challenge blog dedicated to Polkadoodles products. 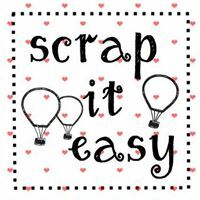 In the store you can find many rubber, digital stamps and collections with cards, embellishments, cutting files etc. Questa settimana ho scelto di utilizzare una nuova bellissima collezione, Work & Play 9 Love & Kisses e il Timbro DIGI L’il Miss Geek. 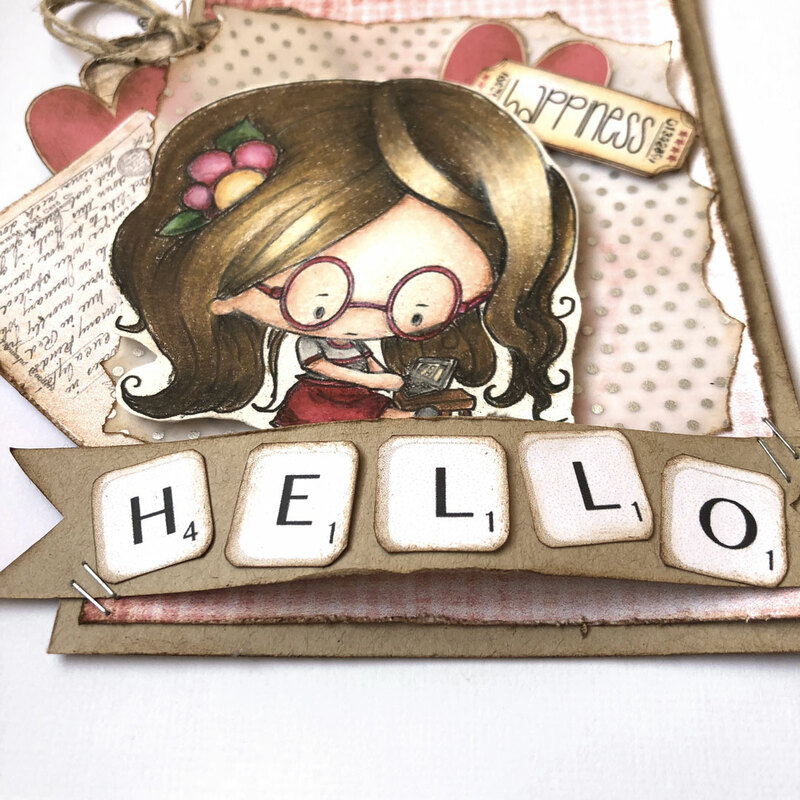 This week I chose to use a new beautiful collection, Work & Play 9 Love & Kisses and the L’il Miss Geek DIGI. Per questa card ho colorato il soggetto con le matite Prismacolor. For this card I colored the subject with Prismacolor pencils. Se volte potete scoprire tutte e collezioni DIGI Polkadoodles cliccando sul banner qui sotto! You can discover all Polkadoodles DIGI collections by clicking on the banner below! Spero che questo post vi sia piaciuto e grazie per esservi fermati! I hope you enjoyed this post and thank you for stopping by! Oggi vi mostro come creare una shaker card usando la nuova fustella della Porta di LDRS! 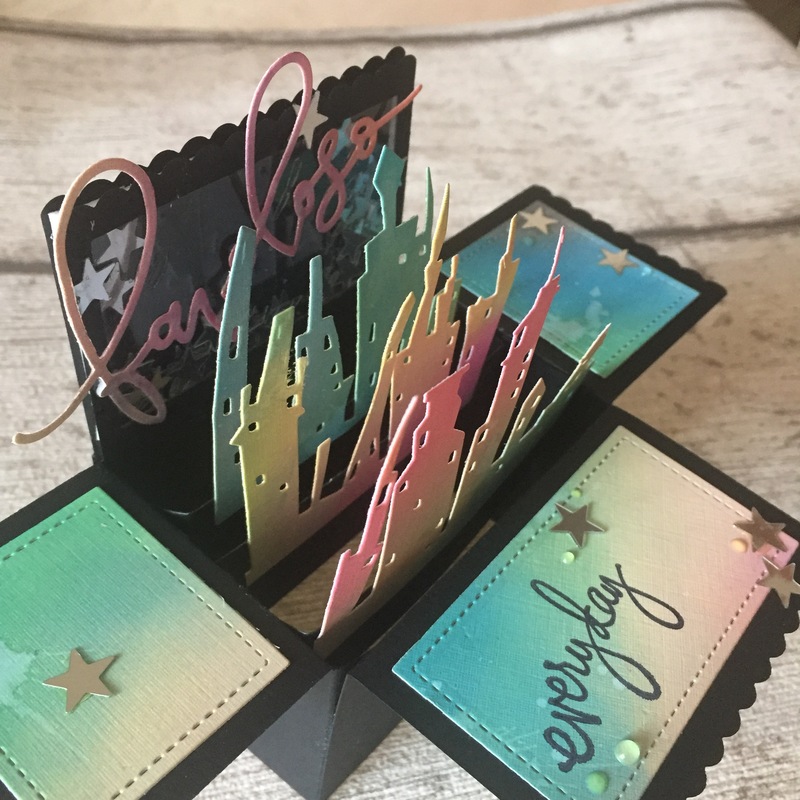 Per questo progetto ho scelto di utilizzare le nuove carte presentate a Creativation 2018 e altre deliziose novità! 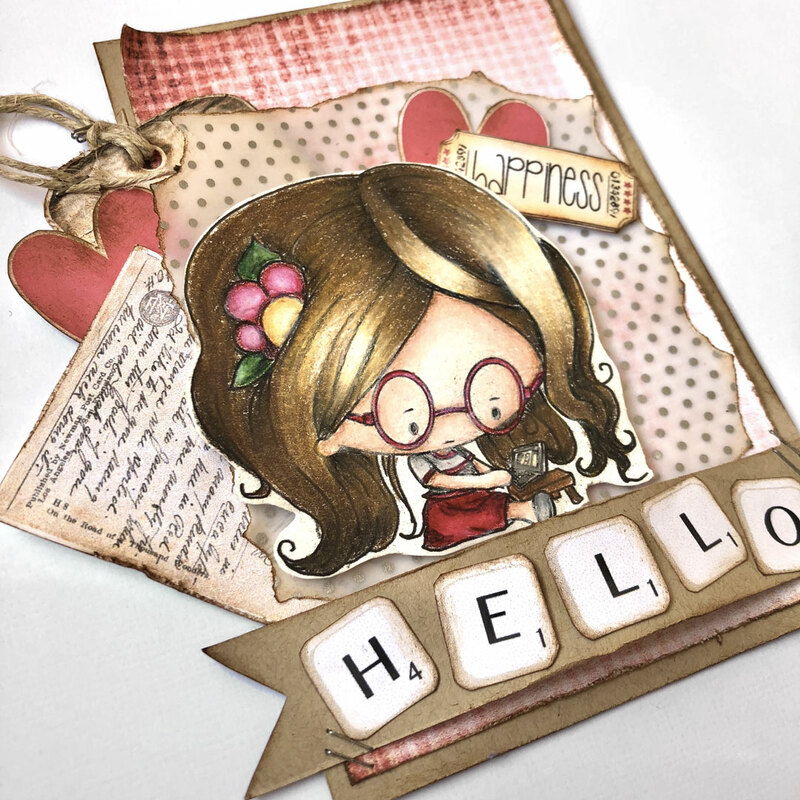 Today I show you how to create a shaker card using the new Door Die by LDRS! 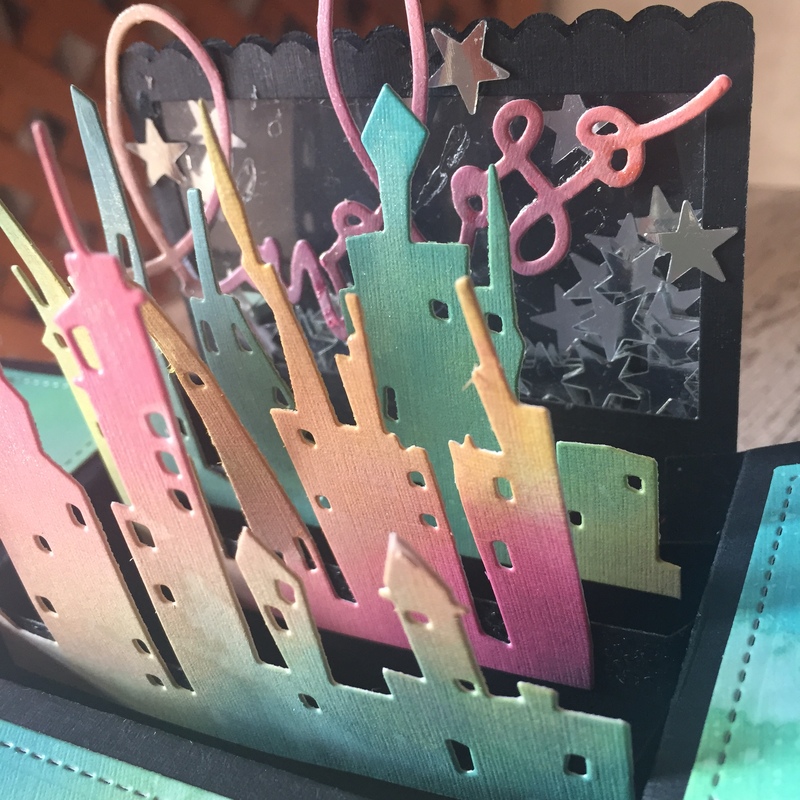 For this project I chose the new papers presented at Creativation 2018, and other delicious news! Spero che il video process vi piaccia! Hope you will enjoy the video process!